September was a no doll but dull month. –Mattel released new dolls, only I want to have nothing to do with them. More “Movie” dolls, four “Nutty” (Nutcrackers) dolls plus 2 “Wicked” (Broadway Musical) dolls, they all look like $10 Fashionista dolls. 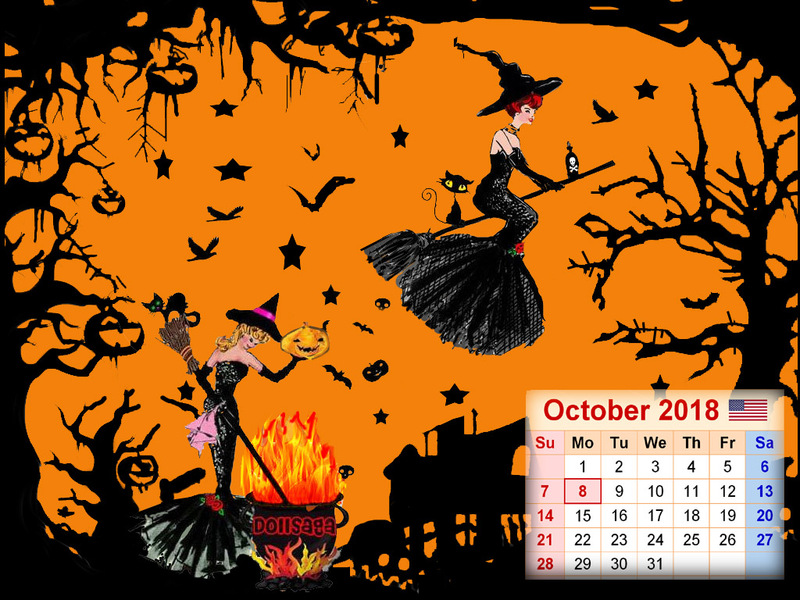 Have a “Nutty” & “Wicked” October! –since there are no new dolls I like, I dragged these 2 witches out from their grave to be your Calendar Girl. This entry was posted on October 1, 2018 at 4:12 am	and is filed under Dolly Daily. Tagged: Barbie Calendar, Halloween Barbie. You can follow any responses to this entry through the RSS 2.0 feed. Both comments and pings are currently closed. Helen, Thanks for taking time to recycle a calendar for this month. You’re most thoughtful.